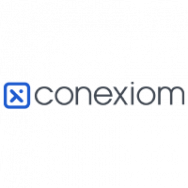 Conexiom® allows manufacturers and distributors to eliminate manual entry associated with the processing of business documents through its 100% accurate automation solutions. Developed by ecmarket, Conexiom is a cloud-based solution that doesn’t require customers or their trading partners change the way they do business. Customer service and inside sales teams rely on Conexiom to effortlessly capture and convert POs, RFQs, pricing agreements, and other sales documents and transform them into an electronic format that can be delivered into their organization’s ERP system with 100% accuracy. As the fastest and most accurate automation solution, Conexiom is uniquely positioned to prevent costly keying errors, improve productivity, reduce costs, and accelerate order-to-cash cycle times. By digitally transforming these operational inefficiencies, companies can lower their cost to serve while improving productivity and customer satisfaction. Conexiom helps organizations across the globe maintain a competitive edge and focus on driving growth.